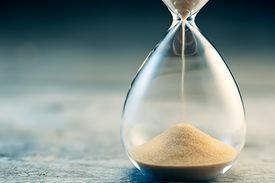 A limitation period, or limitation date, refers to the time frame within, or by, which someone must take legal action. Client has not paid on a debt for a number of years and wants to know if they are still liable for the debt. Client says there is an “old judgment” against them that a creditor is now trying to collect on again, and the client wants to know if the judgment is still valid. Client asks how long they have to hide from creditors before the client does not have to pay anymore. If someone does not start a lawsuit within the applicable limitation period, then the other party may have a “limitation defence” against their claim. In other words, if someone starts a lawsuit against someone else after a limitation period or date has passed, the other person can ask a court to dismiss (throw out) the lawsuit for this reason. There are two main principles of limitations law that advocates should be aware of: limitations for debts and limitation for judgments. This area of the law is complex. The applicability of limitations defences can turn on fine distinctions of law. The summary provided below is only a brief outline of basic principles. A lawyer should be consulted for an opinion in specific cases. A new Limitation Act was enacted in 2013. As of June 1, 2013, a basic two-year limitation period applies to most claims for injury, loss or damage. Section 6 of the Act governs most debt situations. Legal actions for claims, including unsecured debts, cannot be brought later than two years after the date on which the right to bring the action arose. Note that under the former Limitation Act, the limitation period for debts was six years. Figuring out whether the current or former Limitation Act applies to a particular case is very important. The first step in deciding which Act applies is to determine the date on which a claim was discovered, or the right to bring the action arose. In general, a creditor does not have the right to sue a debtor so long as the debtor is keeping up on the payments under the agreement. A creditor’s right to bring a legal action arises when the debtor has defaulted on their contractual obligation to pay. Most consumer-related credit arrangements, ranging from mortgages to credit cards, require some form of periodic payment. If the periodic payment is missed, the debtor is usually in default and the creditor can sue. If the creditor’s right to sue a debtor first arose on or after June 1, 2013, then the two-year limitation period under the current Limitation Act generally applies. For example, if someone owes periodic payments on a credit card and their periodic payment was first missed on July 12, 2013, the creditor has the right to bring a legal action on that date. However, if the creditor’s right to sue a debtor first arose before June 1, 2013, then the former Limitation Act (and general six-year limitation period) may apply. For example, if someone stopped paying their credit card bill on November 30, 2012, and the creditor was aware of the default at that time, the six-year limitation period under the former Limitation Act would apply. The former Act applies because the creditor discovered the claim before June 1, 2013. Section 24 of the Limitation Act extends a limitation date. The limitation period (two years or six years) starts all over again if there has been an acknowledgement of the debt. “Acknowledgement” of a debt includes making a payment. This means that in many instances, the limitation date will run from the date of the last payment, rather than the date when the payments under the agreement were first in default. A debtor is also said to have ”acknowledged a debt” if they or their agent make a signed written statement (including an email) in which they confirm they are responsible (liable) for a debt. Note that under the former Limitation Act, unsecured debts to the government (for example, welfare overpayments) were generally governed by a six-year limitation period. Under the current legislation, most debts to the province of BC continue to be governed by a six-year limitation period. This same six-year limitation period also applies to claims by ICBC for “motor vehicle indebtedness”. If there is some question as to whether a client might have a limitation defence, advocates should tell the client not to make any payments in the meantime, and not to give any kind of written statement (for example, in a letter to the creditor) acknowledging the debt. Under section 7 of the Limitation Act (and section 3(3)(f) of the former Limitation Act), creditors have up to 10 years from the date of a judgment to enforce the judgment. The creditor can take enforcement steps at any time during those 10 years. Since the law considers a judgment itself to be a cause of action, a creditor is also allowed to sue the debtor again, at the end of (but within) the 10 years, to get another judgment. That second judgment is also good for 10 years. Advocates should obtain all related documents from the client and should carefully verify all relevant dates, including when the contract was made, when there was a default or defaults, and, most important, when payments were last made. Basically, limitations are defences for debtors. If a limitation defence is applicable, it must be brought to the attention of the court in any legal action. If a limitation defence appears to be applicable, advocates should consult a lawyer, and clients should be advised to have no communication at all with creditors until legal advice is obtained. There are many limitations in law besides the provisions outlined here. The UBC Law School’s Table of Statutory Limitations Manual contains all the statutory limitation provisions and is available by subscription. This page was last edited on 13 October 2018, at 09:43.